Home > What is Back Onside? 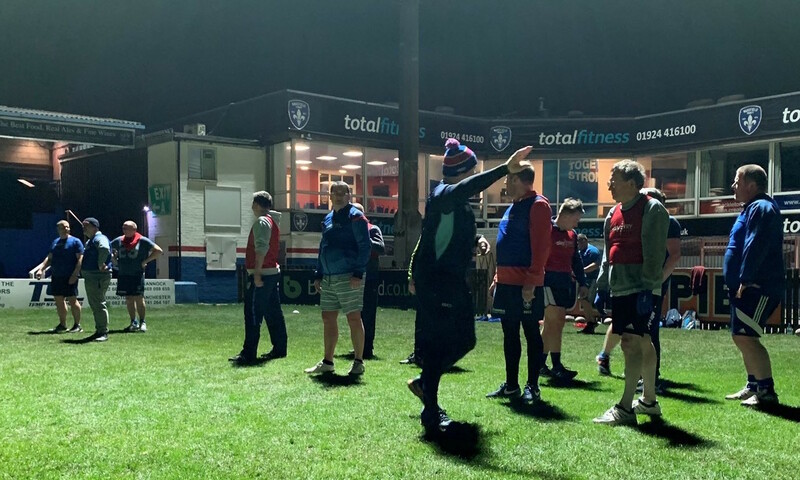 Back Onside is an exciting health and wellbeing programme, run by Rugby League Cares, in partnership with Elite Coaching and 11 club foundations and is designed to encourage Men to get back to enjoying exercise, through the support of current and former players. Men who sign up to the National Lottery-funded, Sport England initiative will be involved in 10 weekly fixtures lasting 60 to 90 minutes each that focus on multi-sports activities, including rugby and football, as well as team-building exercises. Designed and delivered by current and former players, Back Onside is predominantly aimed at men aged 35-64, however it is open to all age groups and fitness levels and is free to join. Over the course of the 10 fixtures, men will be given tools and techniques by current and former professionals to help build a positive mindset towards exercise, while having fun in a relaxed atmosphere and help all men involved achieve their fitness goals, whatever they may be. Men will also be supported in their goals with out of session resources that supplement each of the 10 fixtures. After the 10 fixtures, everyone on the programme will be invited into other established programmes within each club foundation; these offer men a whole range of options including health and nutrition sessions, weight management and touch rugby sessions to help men achieve the goal of feeling happier and healthier, and the opportunity to stay engaged with their club in various capacities.